Kitchen Solutions - Are Kitchen Solutions Providers of Fitted Kitchens in Derby? With over 20 years of combined experience in providing fitted kitchens in Derby and Nottingham, Kitchen Solutions are a trustworthy company with a strong reputation. We were delighted to be mentioned in the ‘Ideal Home Magazine’ for being one of the top suppliers of fitted kitchens in Derby and Nottingham! We take any requirements you might have and consider them alongside your budgetary restrictions. Our expert designer will then create a bespoke kitchen for you, using the finest quality materials available on the modern day market. Not ones to shy away, we go the extra mile to ensure that you have a kitchen that suits not only your personality, but your lifestyle too. We’ll do this by including appliances and storage methods from some of the top brands – and once we’re finished, you won’t be able to believe how amazing your new kitchen looks. Why Fitted Kitchens in Derby? We can provide two different design services for a fitted kitchen in Derby – a classic service and a contemporary one. From a fitted kitchen in Derby filled with traditional character and charm, to something more bold and sophisticated, we guarantee we have something that will suit your property. By following the latest trends, we ensure we’re never behind on options to provide to our customers. 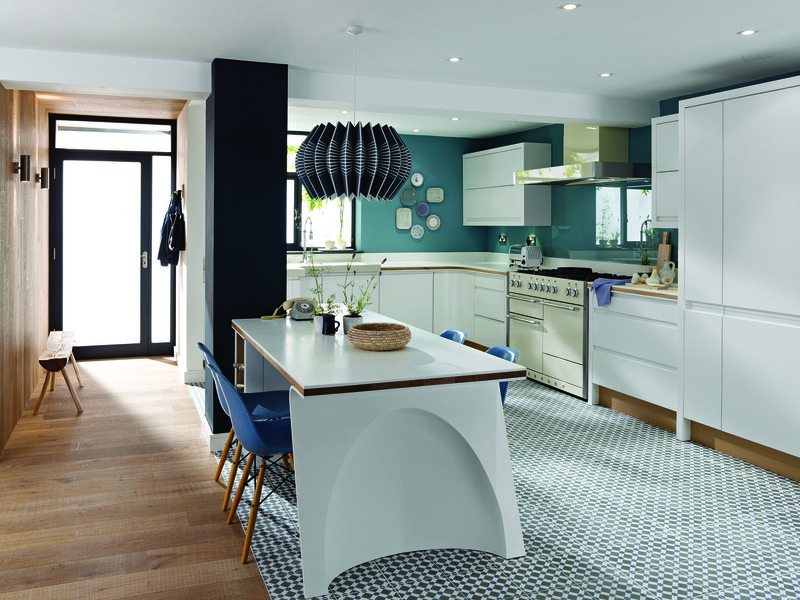 The options that we have in regards to your dining space and worktop surfaces are always growing – with our current offering consisting of laminate, solid wood, granite and more – in a range of colour options. If you require more information about our fitted kitchens in Derby, and how we can provide a bespoke service surrounding your home and budget – you can contact our expert team today. Alternatively, you can view examples of our work or speak to a member of our team in person at our showroom.